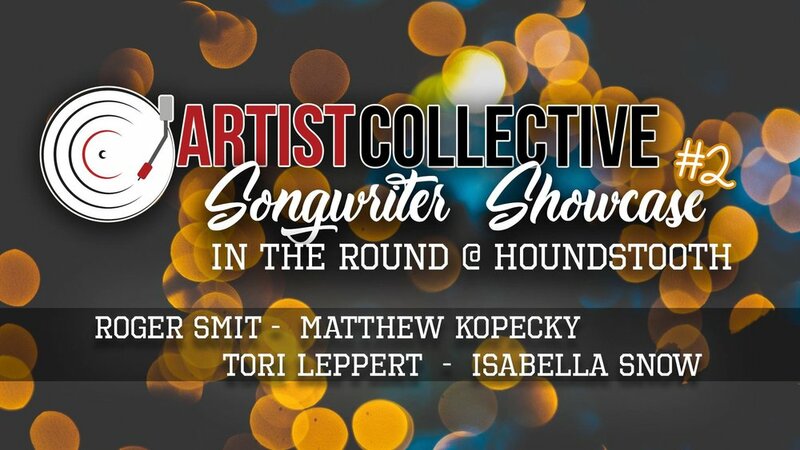 Artist Collective is back again with another lineup of amazing artists to bring you our second installment of our Songwriter in the Round showcase! What better way to enjoy your Sunday brunch then with friends and live music? Head down to Houndstooth Saloon and enjoy an afternoon filled with music and their awesome brunch menu and Sunday specials! One of the most unique experience folks seek out in Nashville are events featuring “Songwriters in the Round”. This is an old-fashioned concept where folks actually sit down, listen and really take in the stories behind the music. With an unplugged feel and an intimate setting, the artists get to share the passion that drove their art with a captive audience. Hosted by Artist Collective's own host/MC Jae. Taking some quick, but deep dive's into the artists' stories, Jae will be guiding you through the evening.